Sarah Nader- snader@shawmedia.com Firefighters leave the home after containing flames at a house fire at 125 Mary Lane in Cary Wednesday, April 20, 2016. 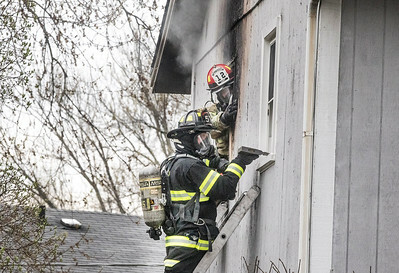 Sarah Nader- snader@shawmedia.com Firefighters break a second floor window while responding to a house fire at 125 Mary Lane in Cary Wednesday, April 20, 2016. 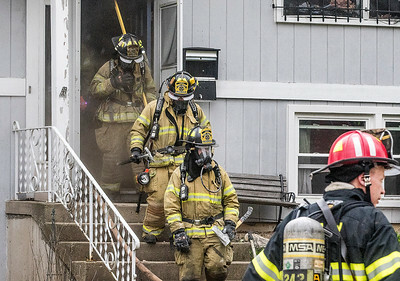 Firefighters break a second floor window while responding to a house fire at 125 Mary Lane in Cary Wednesday, April 20, 2016.